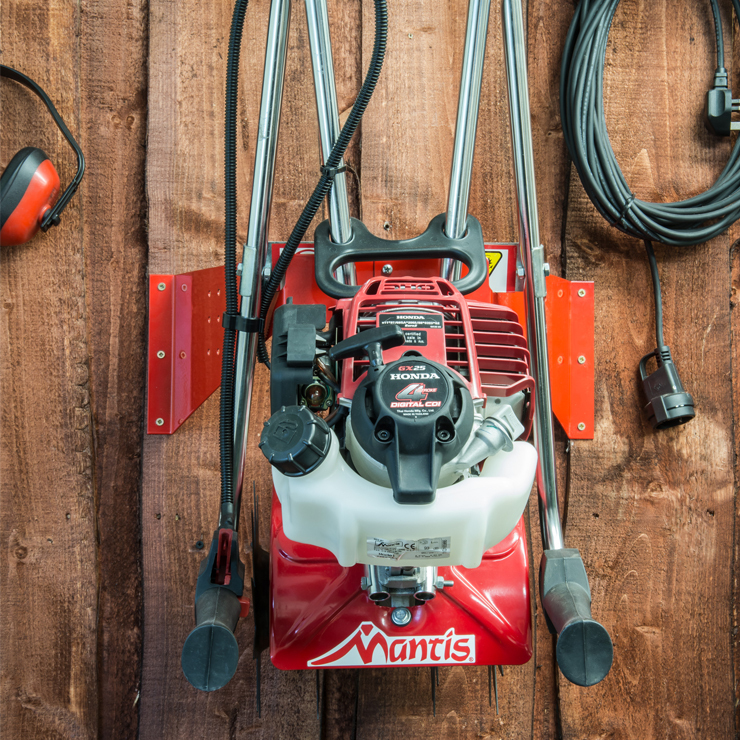 Now you can easily, securely hang your Mantis Tiller on the garage or shed wall, out of the way‚ when it's not in use. 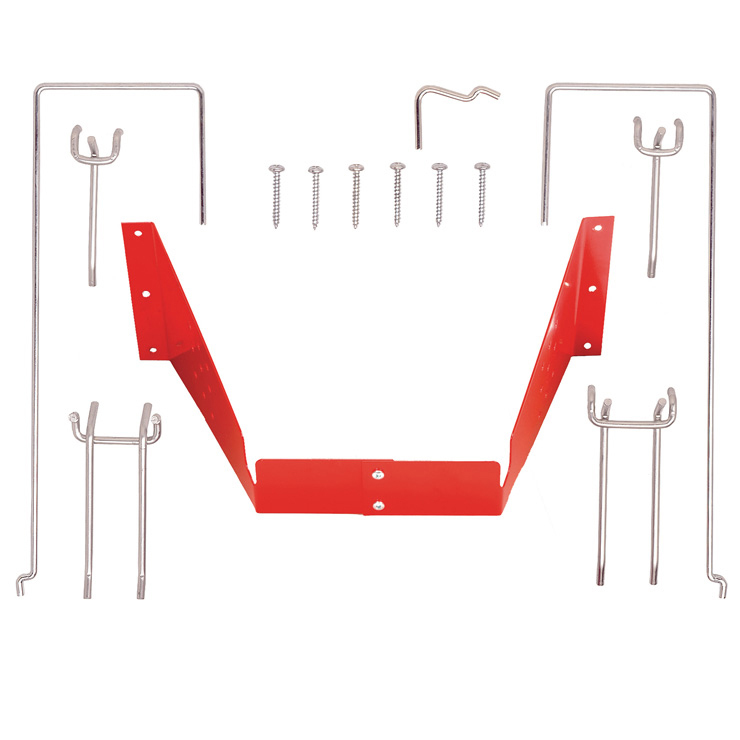 Seven pegboard type hooks (long and short, single and double) let you hang tiller attachments from the rack, too, so they're always where you need them. 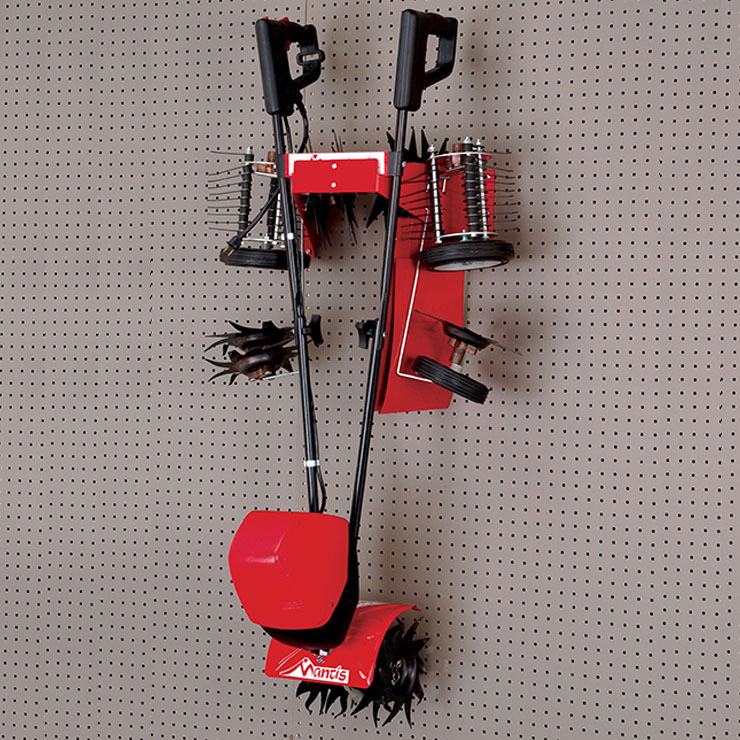 Also handy for storing other outdoor power tools. 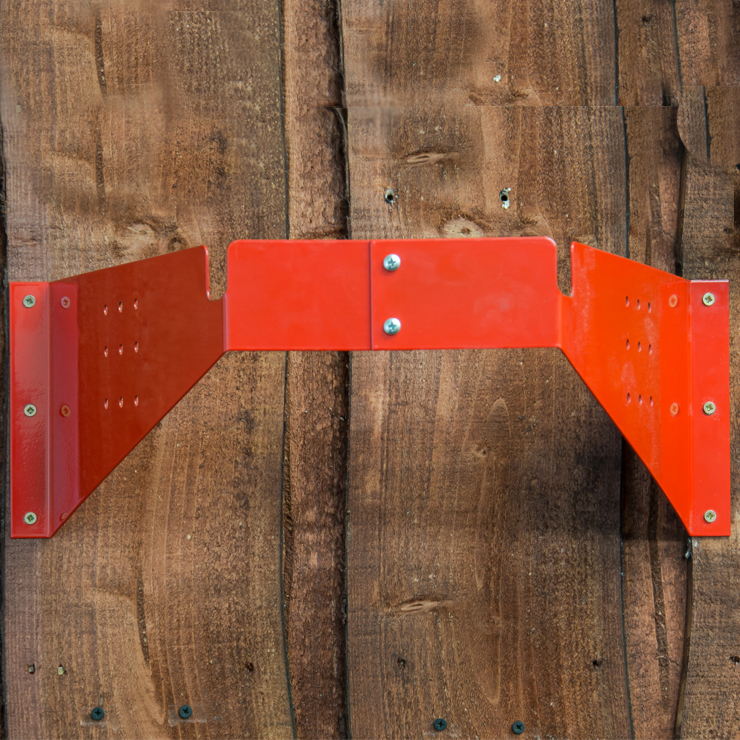 Mounting tip: Screw rack into wall at centerline of studs 16 apart or bolt a wooden mounting board (not included) to wall and screw rack to it. 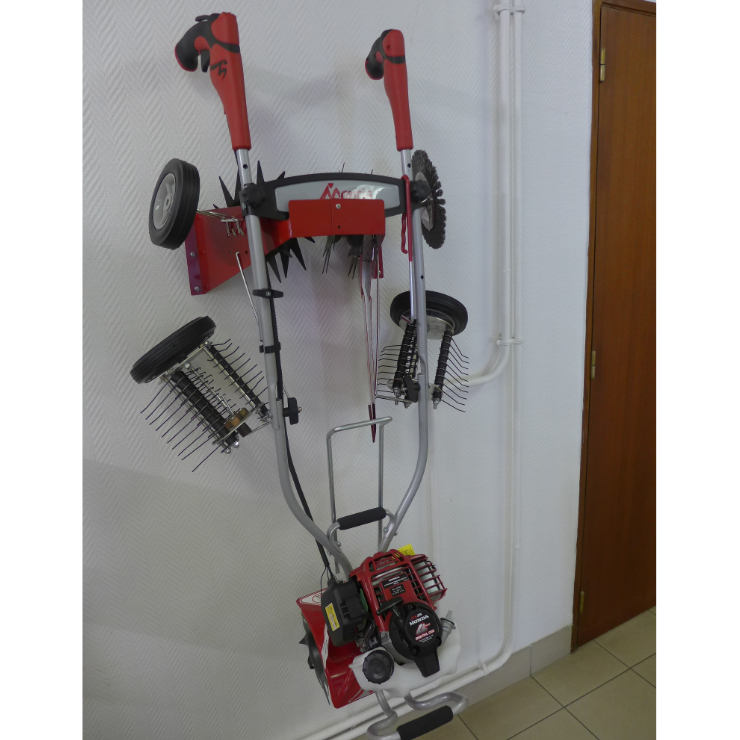 All hardware is included. 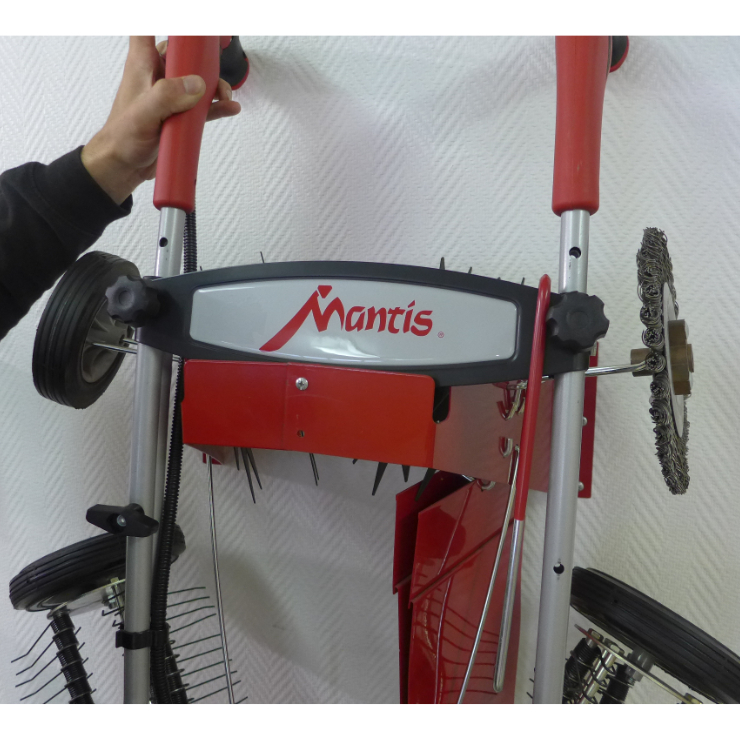 For all Mantis tillers.